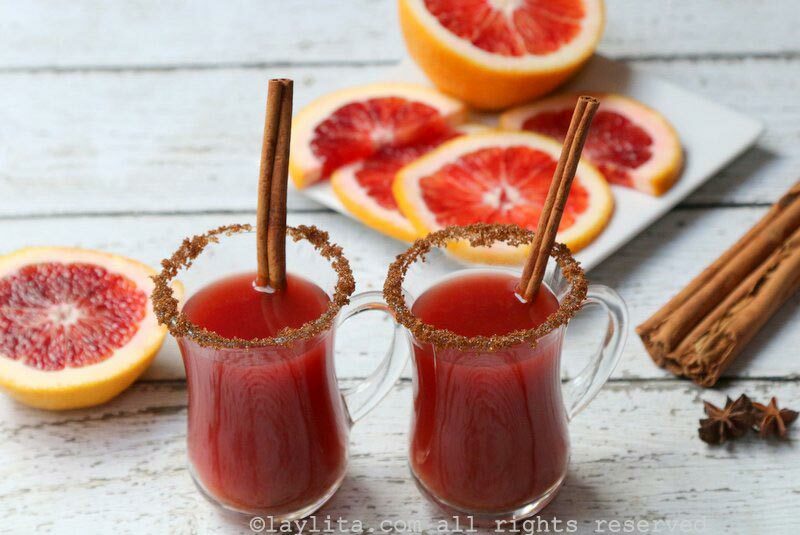 This hot spiced blood orange cocktail is a variation of the classic Ecuadorian canelazo drink. 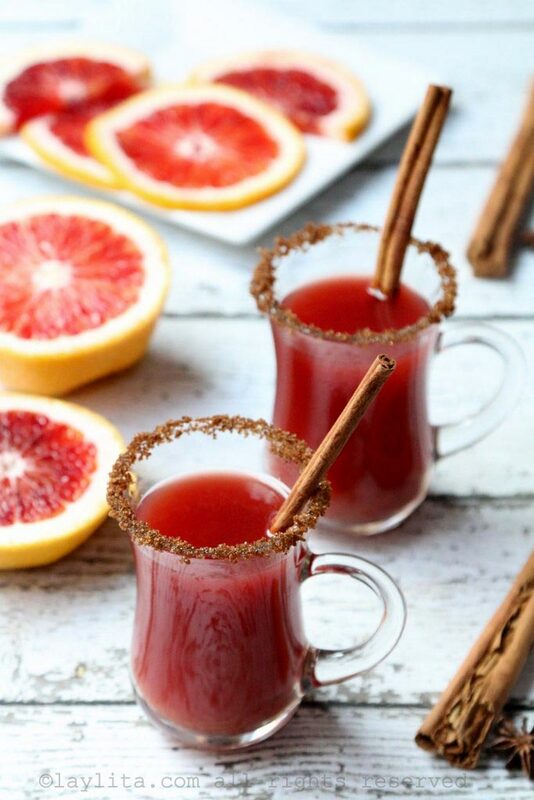 This warm drink is made with blood orange juice, cinnamon, a mix of spices (cloves, anise, and all spice), and rum or aguardiente. Aguardiente, a sugar cane liquor, isn’t always easy to find outside of South America – especially the Ecuadorian punta variation, but rum makes a good replacement for the aguardiente in this cocktail. 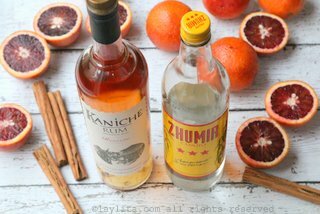 I decided to infuse some aguardiente with cinnamon sticks to give it an extra kick of spiced flavor – you can do the same or use spiced rum. 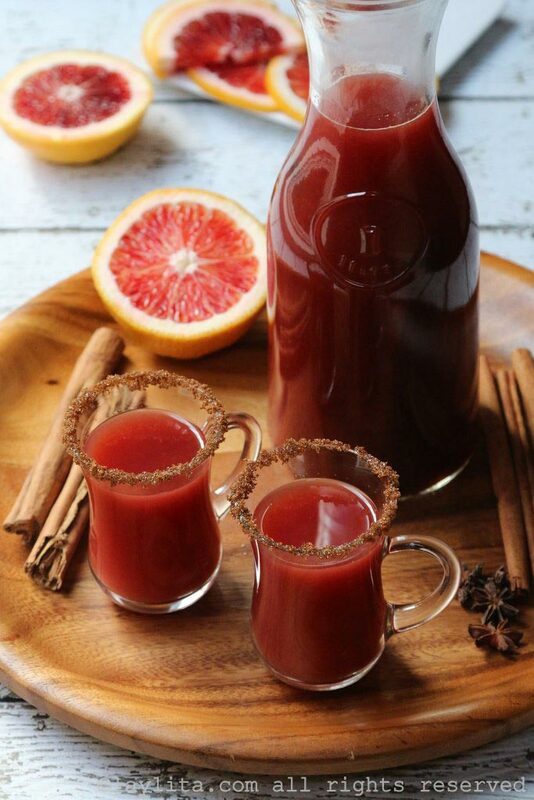 However, since this warm blood orange drink is simmered with cinnamon it will have a nice cinnamon flavor even with regular rum or aguardiente. 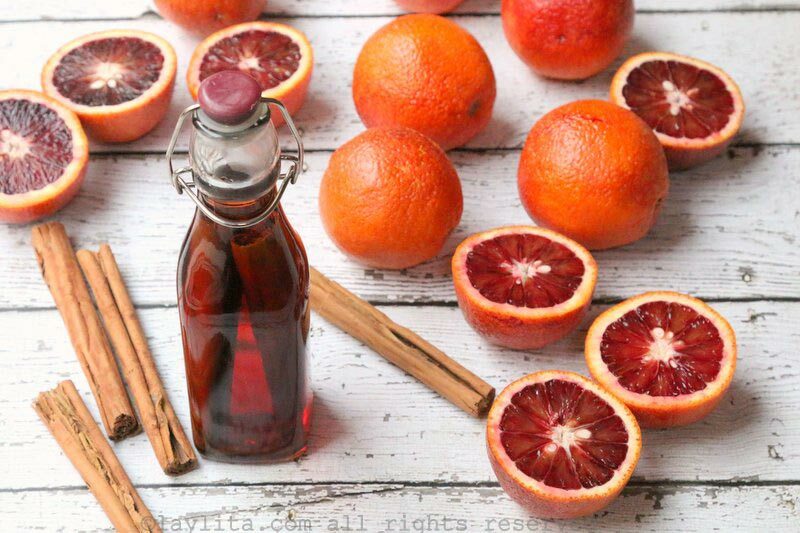 Hot spiced blood orange cocktail inspired by the Ecuadorian canelazo drink made with blood orange juice, cinnamon, spices, and rum or aguardiente sugar cane liquor. 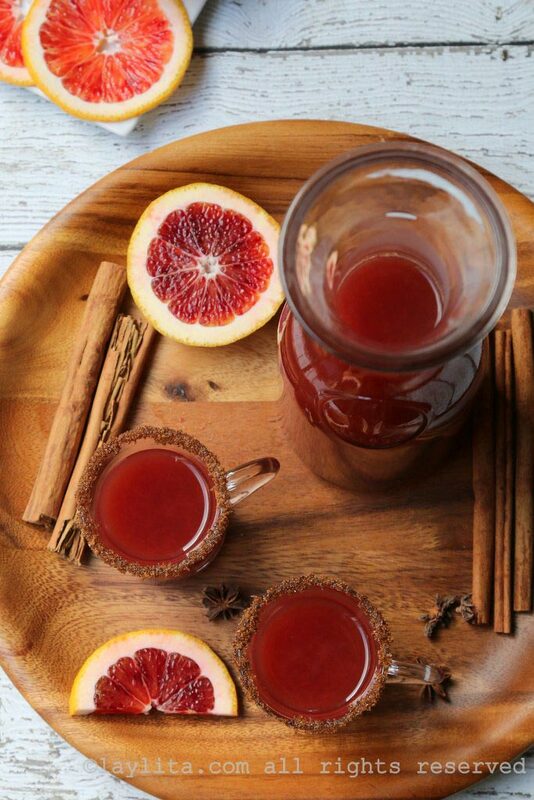 For a light canelazo, add 1 oz of aguardiente to each glass of canelazo. 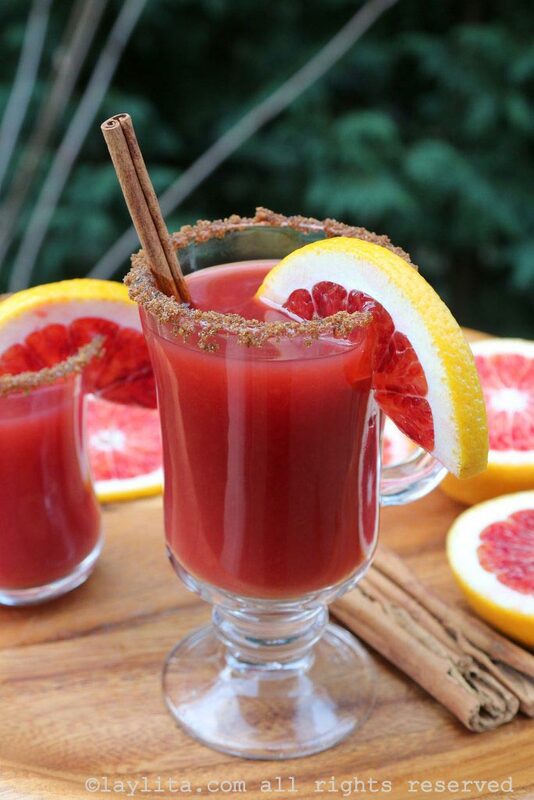 For a medium-strong canelazo, add 1.5 oz of aguardiente to each glass of canelazo. 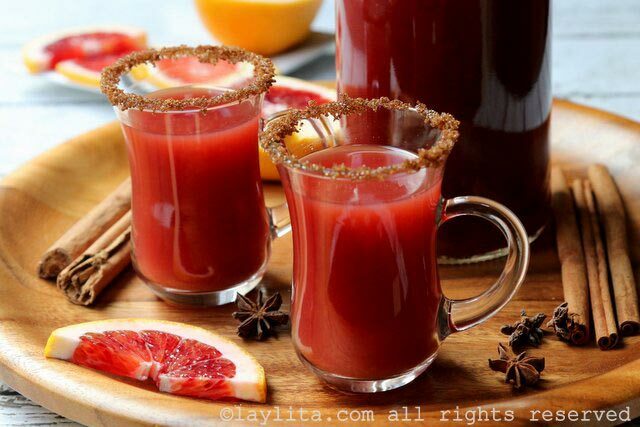 For a strong canelazo, add 2 oz of aguardiente to each glass of canelazo. 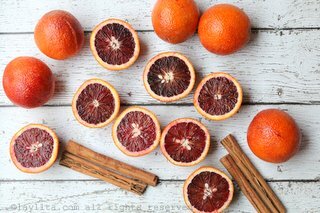 Combine the water, brown sugar or panela (piloncillo), the cinnamon sticks, spices, and orange peel strips in a medium sized pot. 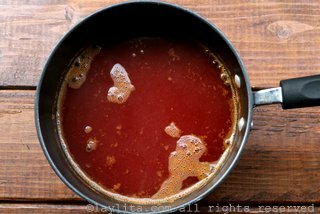 Bring to a boil, reduce the heat and let the panela/piloncillo melt. 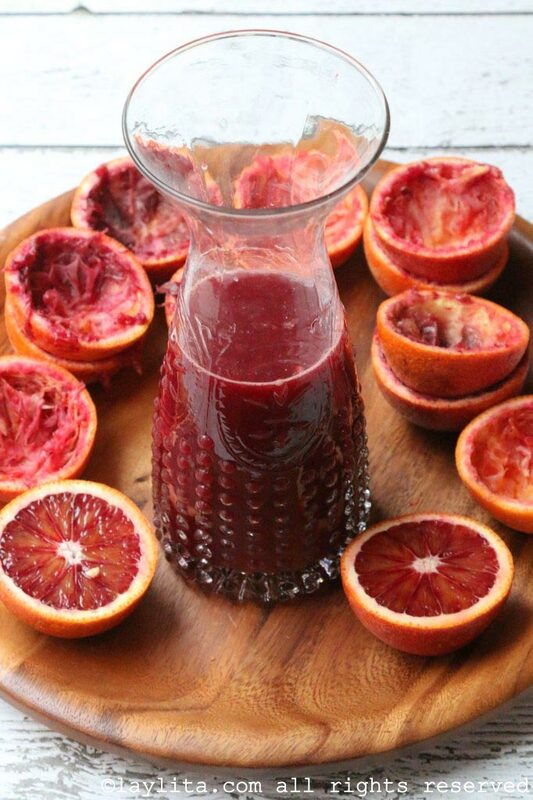 Add the blood orange juice and simmer for about 20-30 minutes. To make the fast or cheater version you can boil it for 10-15 minutes. 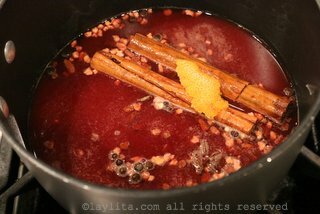 Strain to remove the cinnamon sticks and spices. 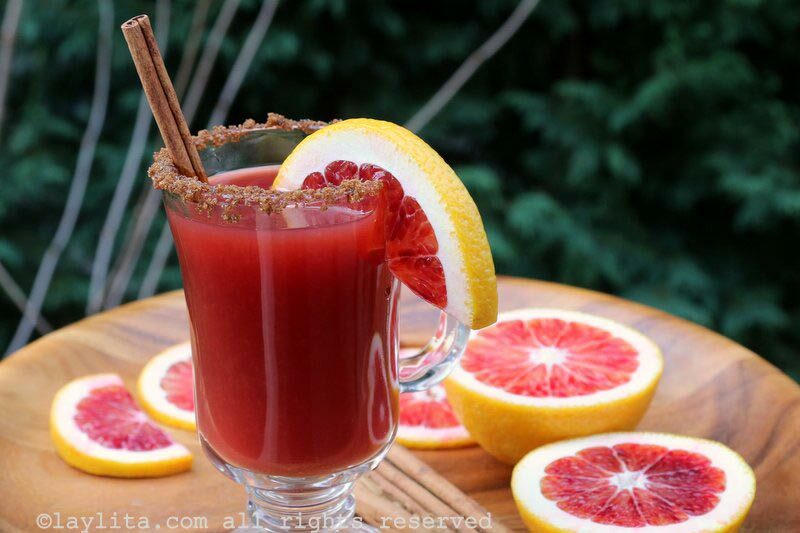 Mix in the rum or aguardiente directly or individually in each serving glass, and serve warm. 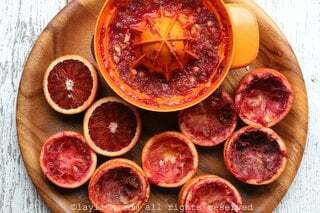 You can also make it ahead of time without the added alcohol and keep it refrigerated, then re-heat when ready to serve. 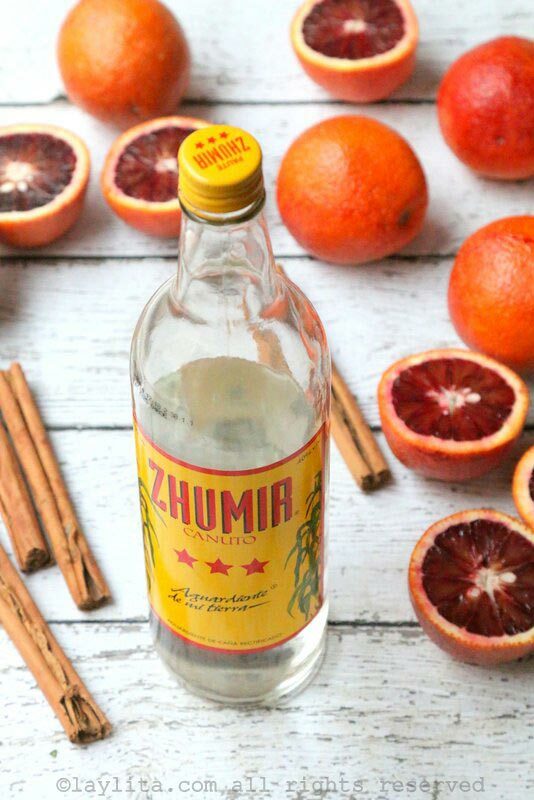 For a mocktail or kid friendly variation simply omit the rum/aguardiente. 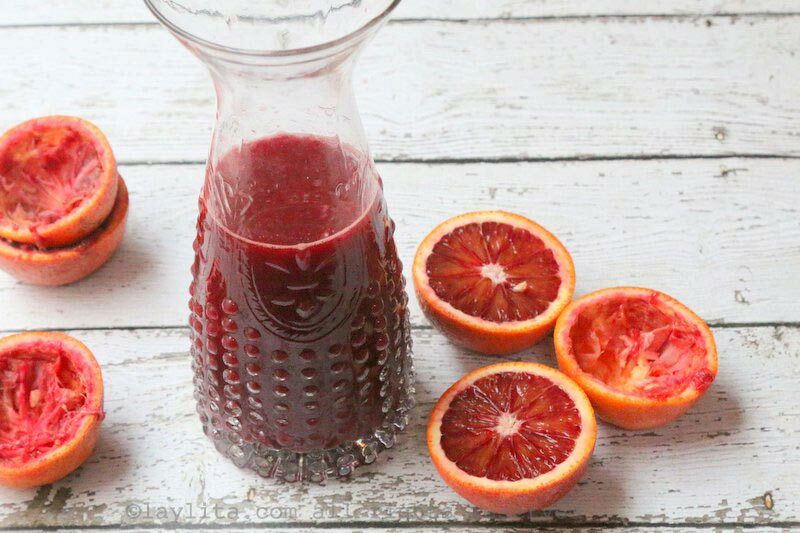 You can also make this warm cocktail with regular oranges, or if you really want the bright red color and can’t find blood oranges, you can blend regular orange juice with raspberries – then strain and use it in place of the blood orange juice. 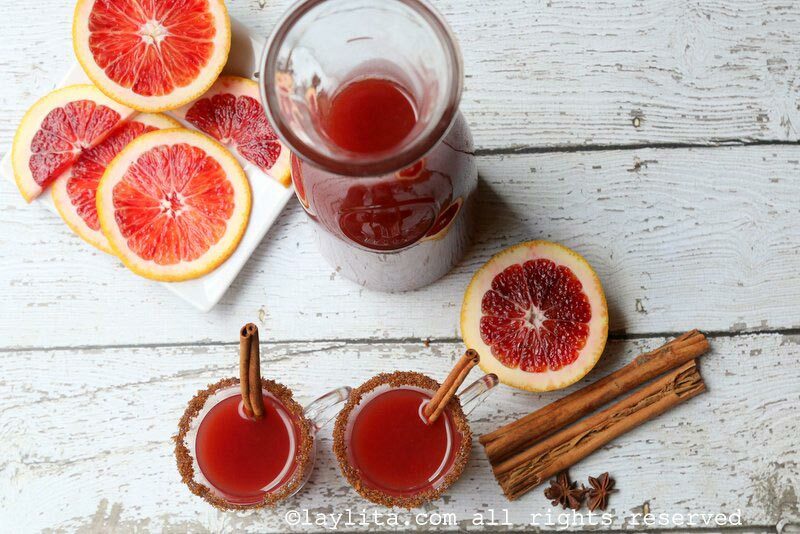 This drink also works great as mocktail or non-alcoholic citrus mulled drink, simply leave out the rum. I’ve included guidelines in the recipe below for the amount of rum that you can add to each drink. Cheers! Can’t wait for your cookbook. I absolutely love your website, and had recommended to many English and Spanish speaking friends. The book will make a good gift. Keep up the good work!!!! Also, thank you for helping me out with the menu for our coming party. My tip: I will use Costco’s boiled eggs, to save time making your “Crab Deviled Eggs”.